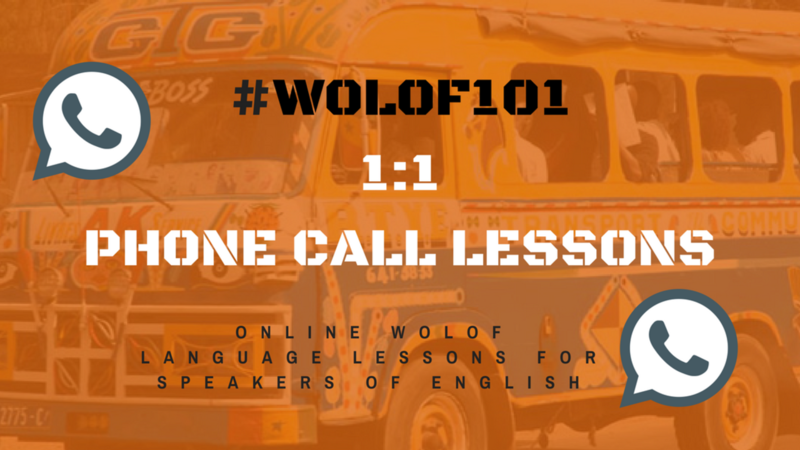 The 1:1 Phone Call Lessons are provided to assist learners with revising / studying Wolof with the Full Access Subscription. Please ensure you have subscribed to the Full Access Subscription prior to subscribing to the 1:1 Phone Call Lessons. Each 1:1 Phone Call Lesson is 1 hour in length and provided once a week at an agreed time. 1:1 Phone Call Lessons are conducted via Whatsapp. - 1:1 Phone Call Lessons are conducted via Whatsapp. - The 1:1 Phone Call Lessons are provided to assist learners with revising / studying Wolof through the Full Access Subscription. - Please ensure you have subscribed to the Full Access Subscription prior to subscribing to the 1:1 Phone Call Lessons. - Each 1:1 Phone Call Lesson is 1 hour in length. - Members subscribed to 1:1 Phone Call Lessons receive one 1:1 Phone Call Lesson per week on an agreed day / time.